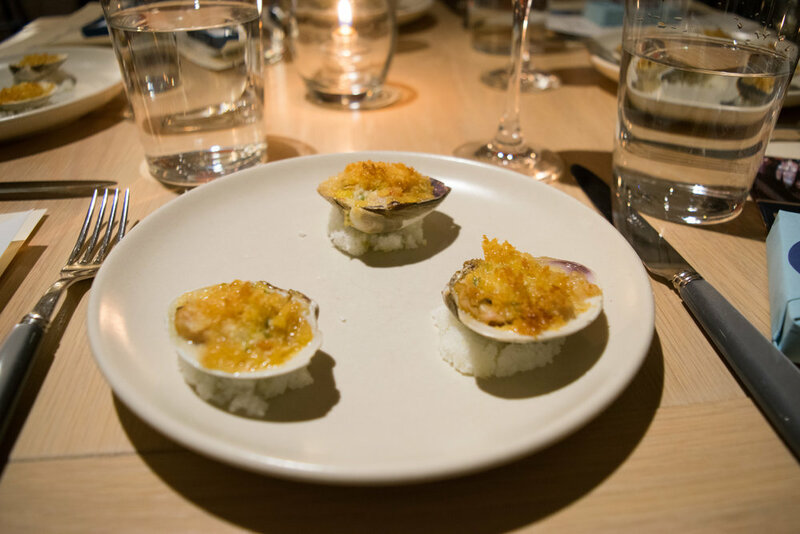 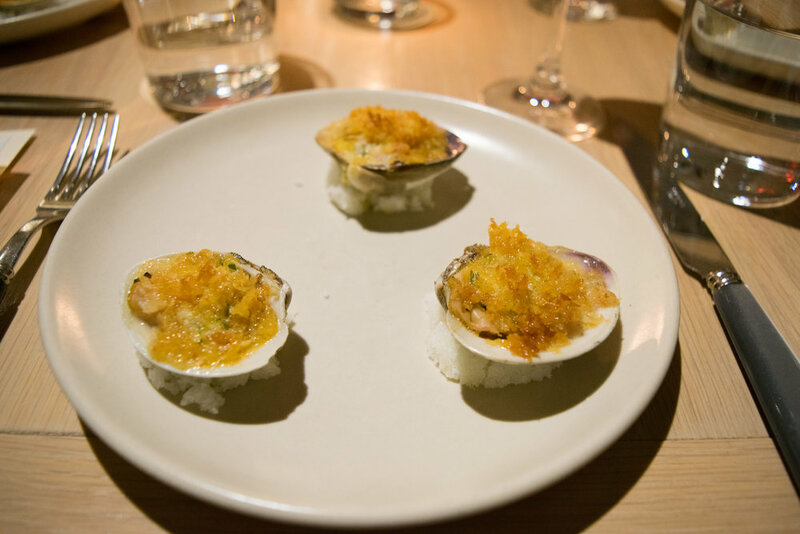 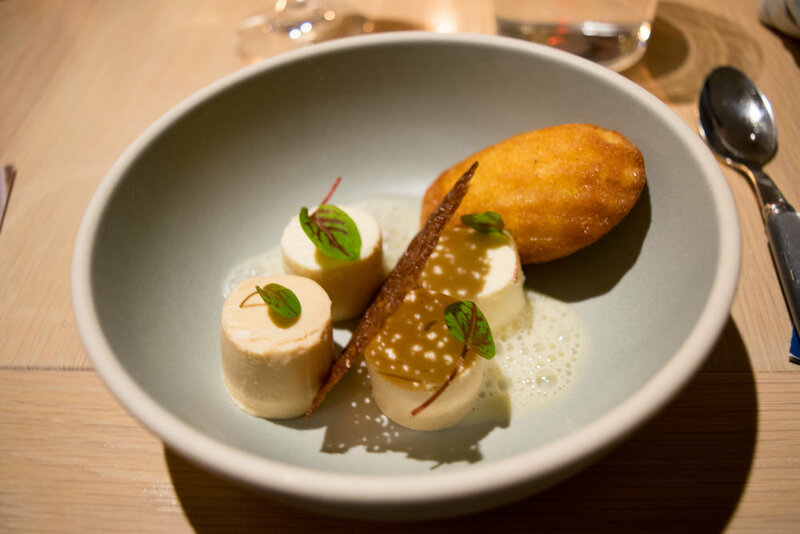 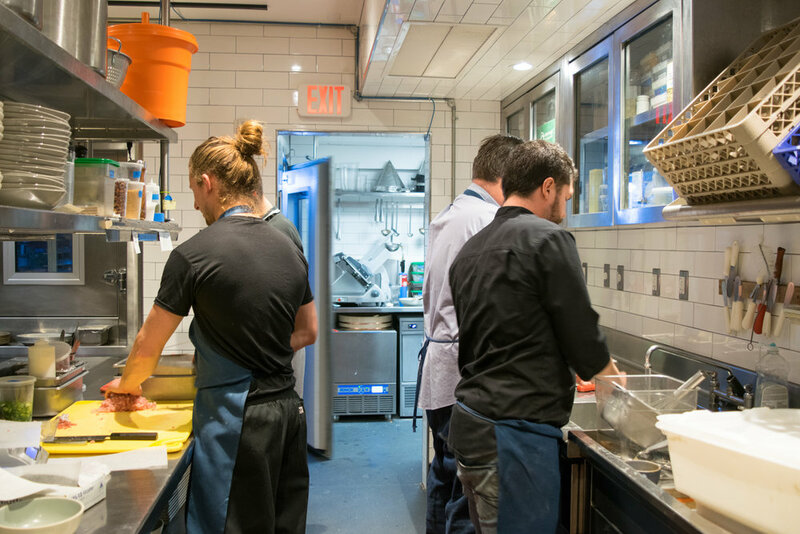 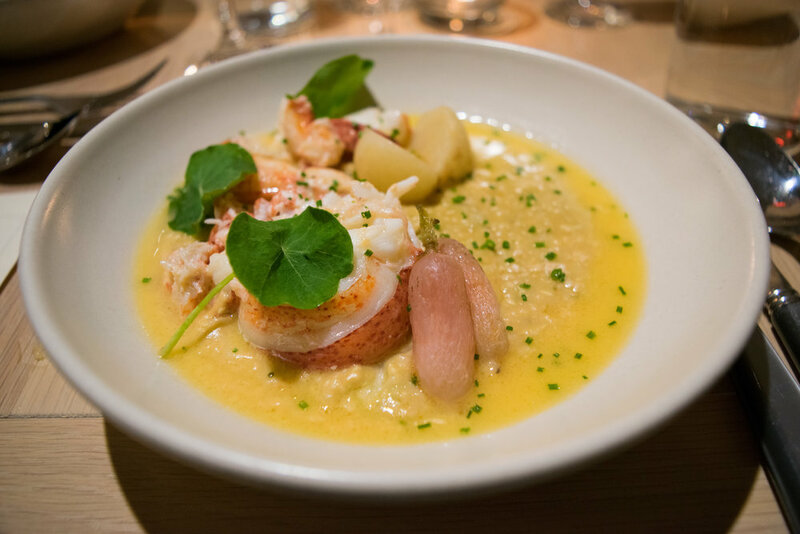 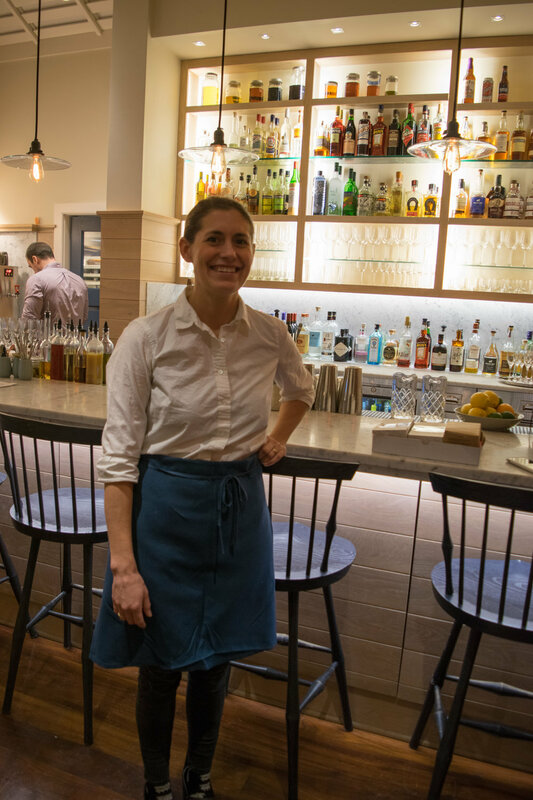 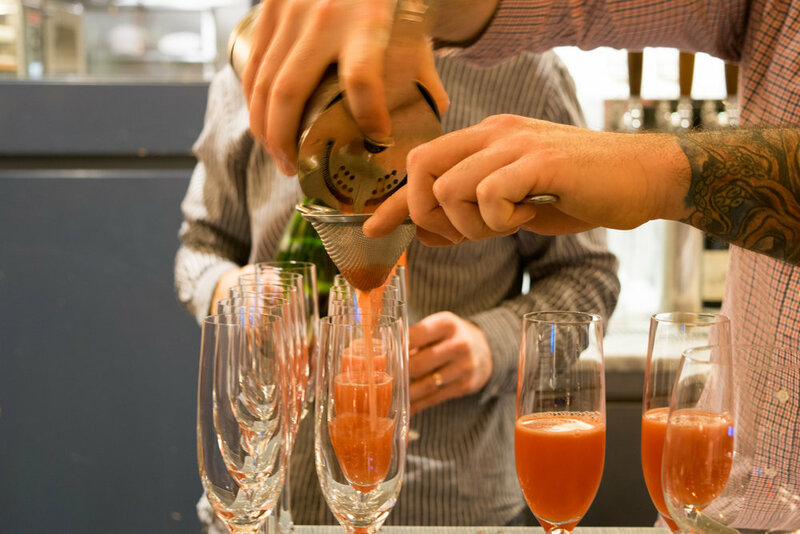 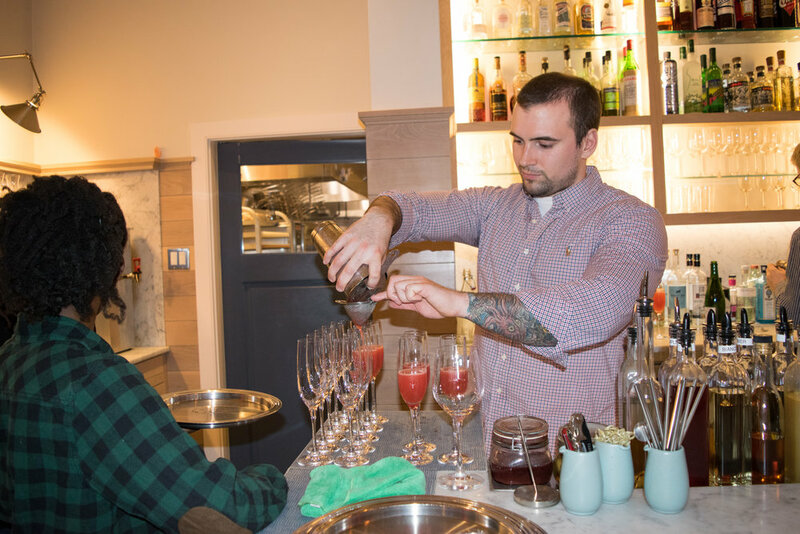 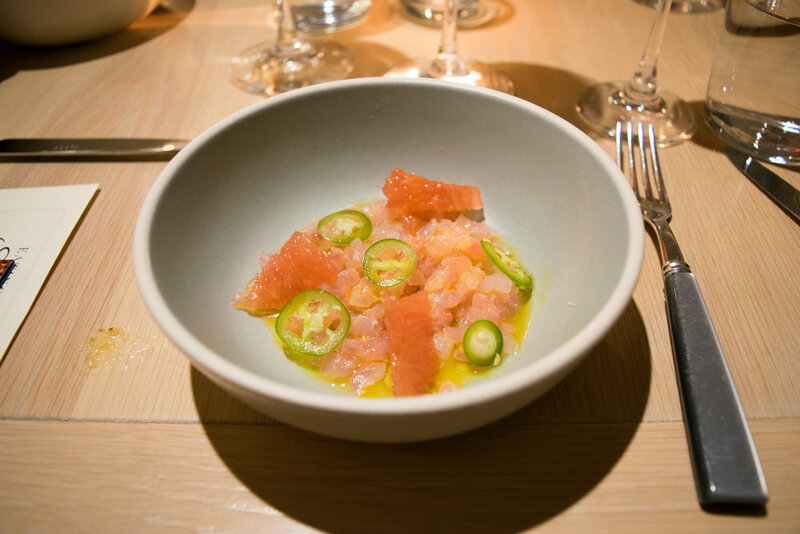 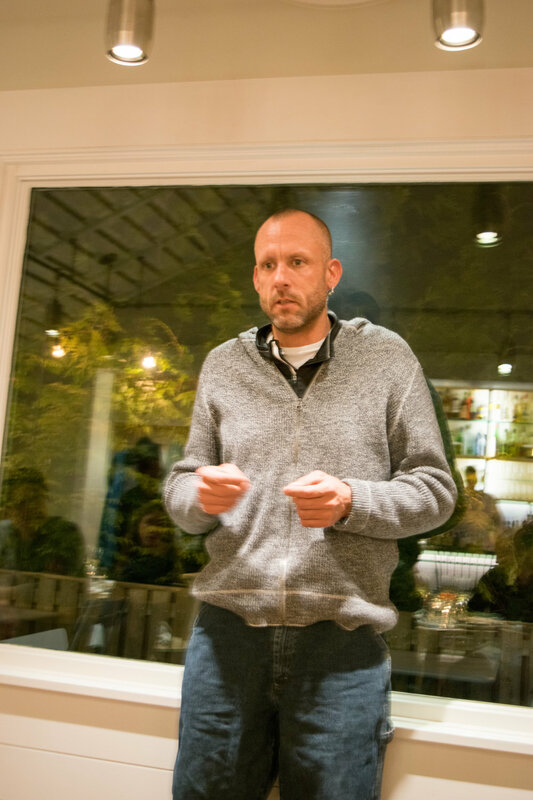 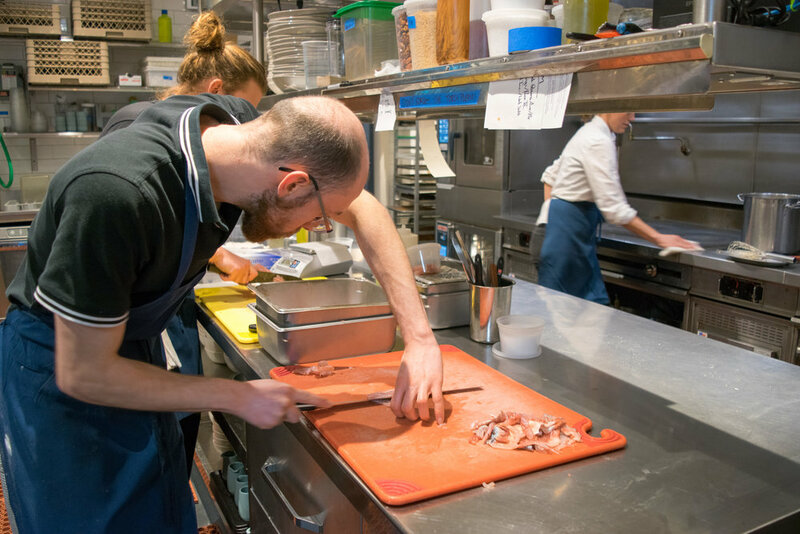 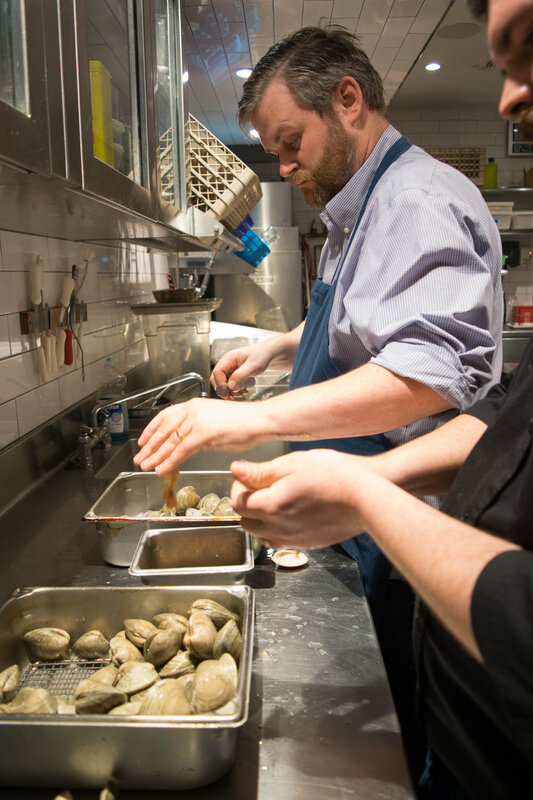 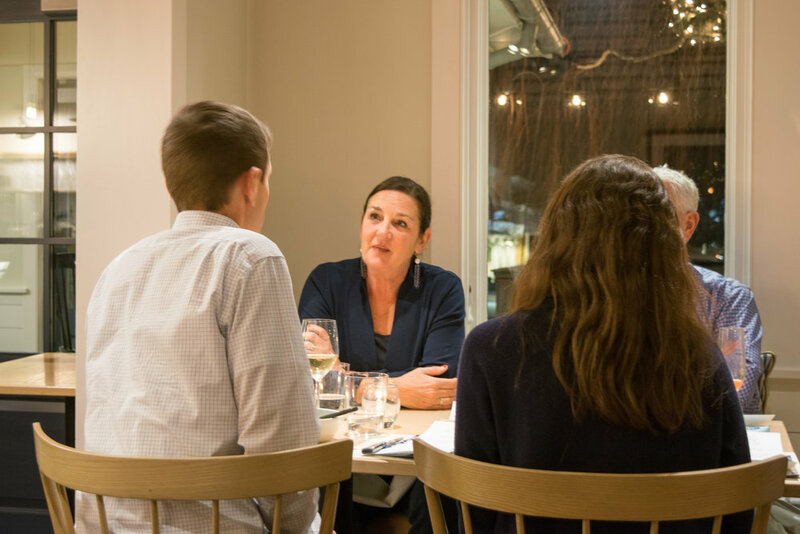 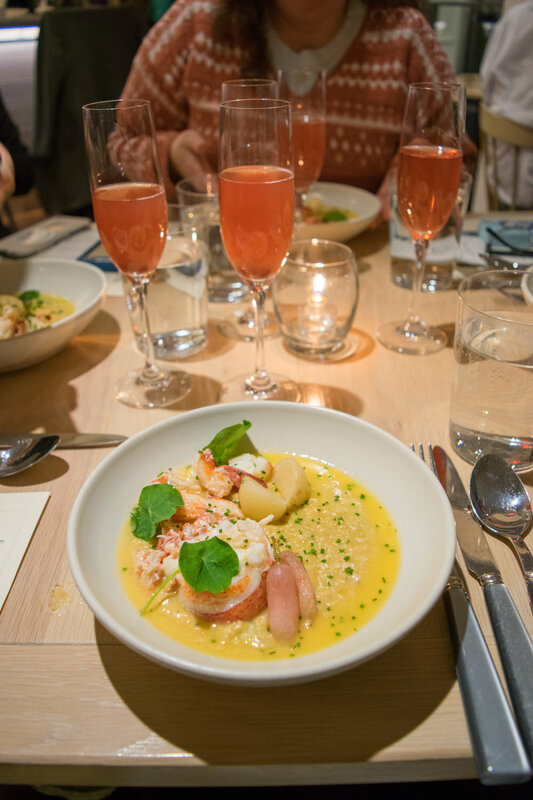 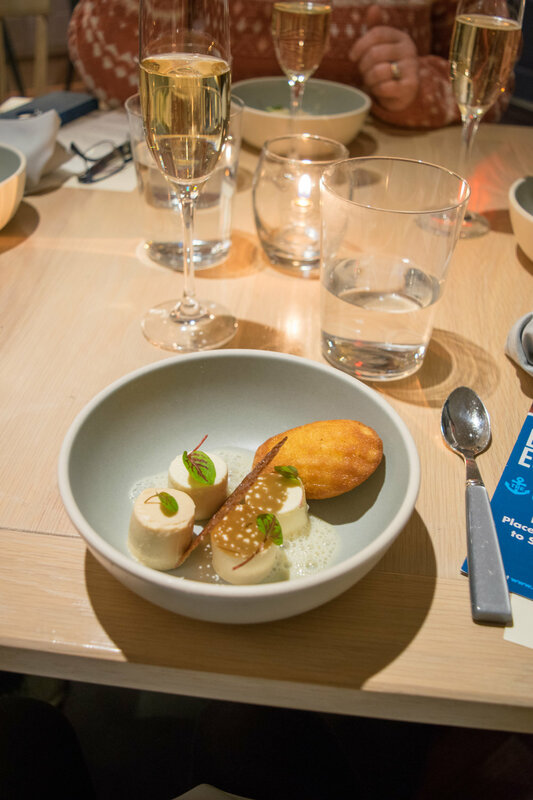 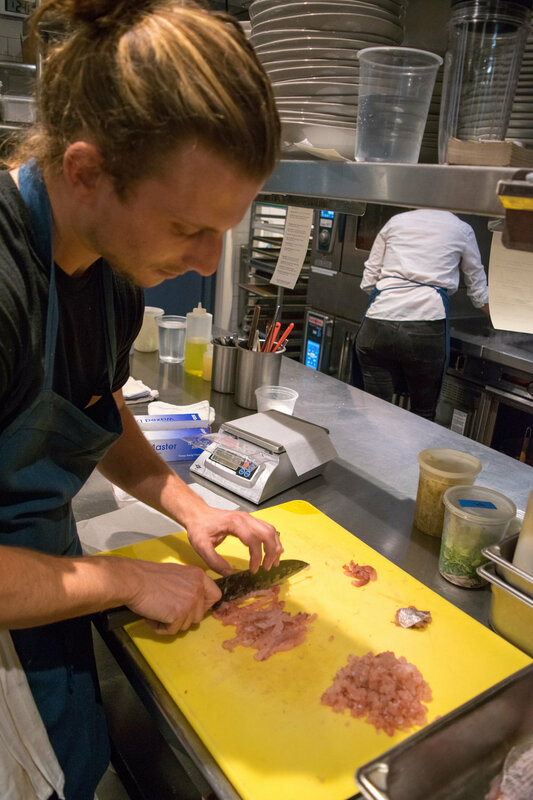 At our Winter 2018 Scales and Tales Dinner, Chef Lisa Lofberg and her team at Little Moss Restaurant prepared an absolutely delicious multi-course seafood dinner featuring roasted littleneck clams in preserved lemon, chili & herb butter; a tasty scup crudo with grapefruit, lime, serrano peppers, and olive oil; lobster & grits with Geenchi Boy grits, lobster roe, butter poached lobster, radish, and nasturtium leaves; whole roasted mackerel with heirloom potatoes, saurkraut, crispy kale, and horseradish cream; and brown butter madelines with buttermilk ice cream, chocolate lace, and local sea salt caramel! 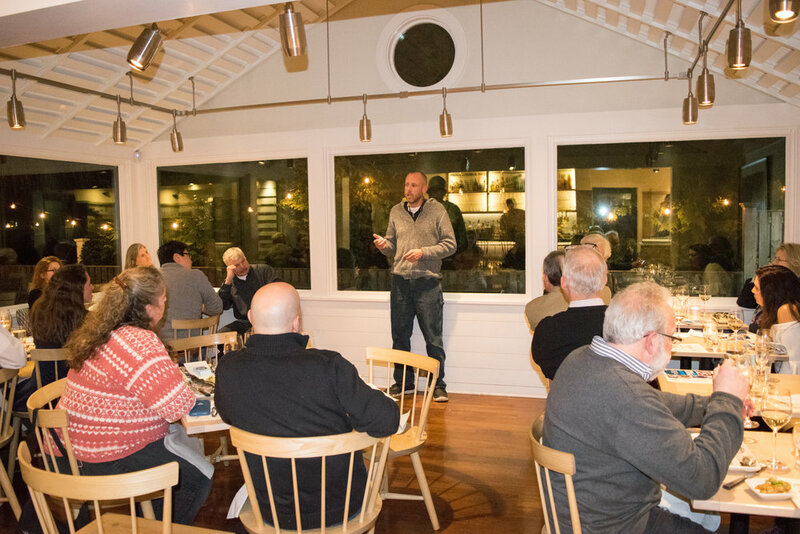 Chatham fisherman Doug Feeney shared his story and answered guest's questions about our local fisheries. 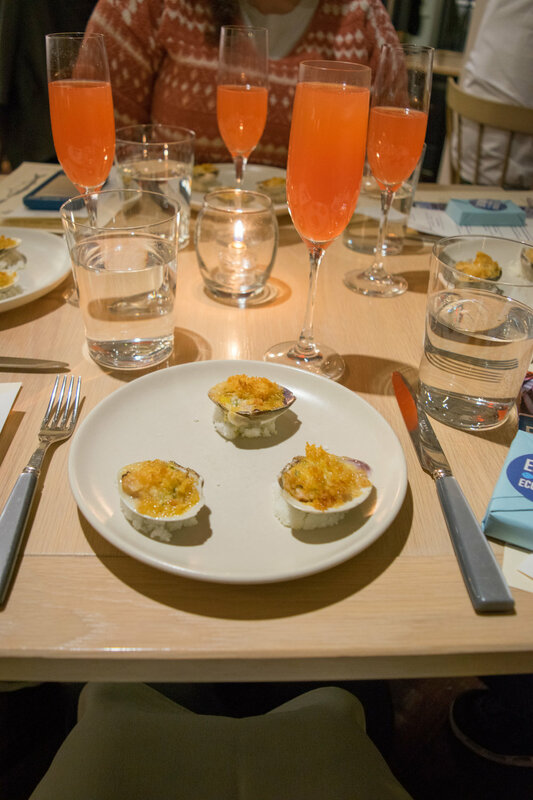 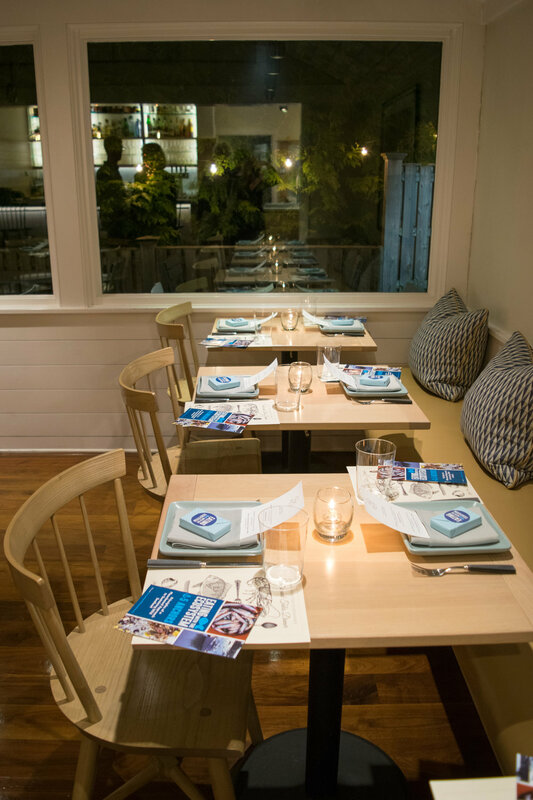 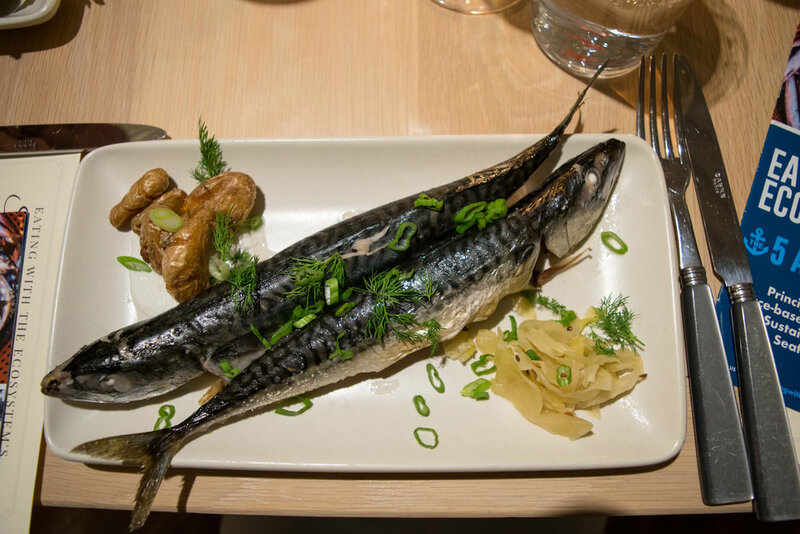 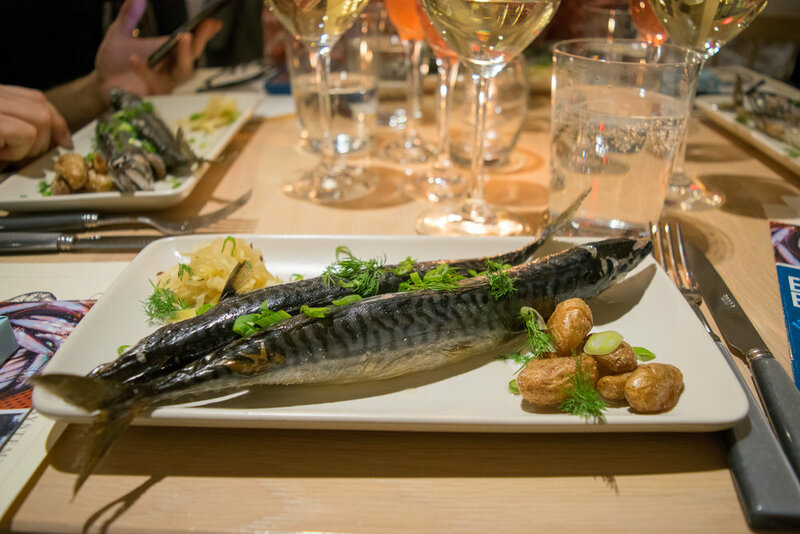 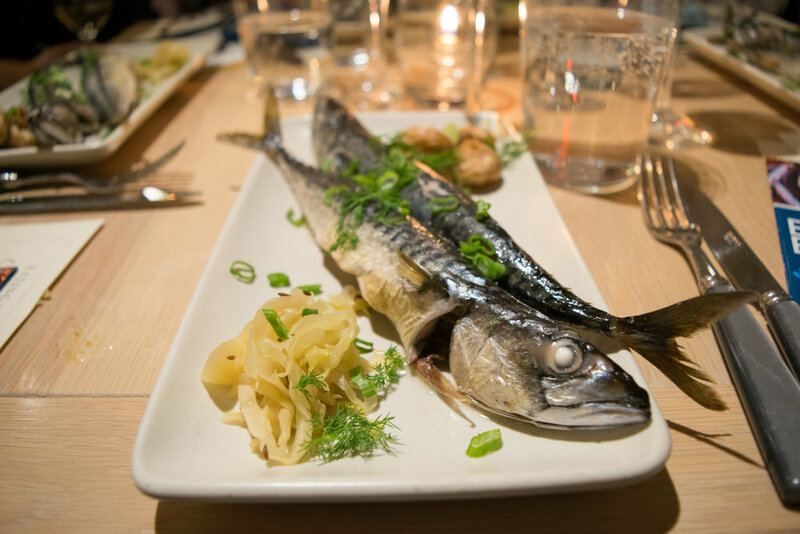 Eating with the Ecosystem's Kate Masury taught guests about each species role in the ecosystem and the important habitats used by our featured seafood species. 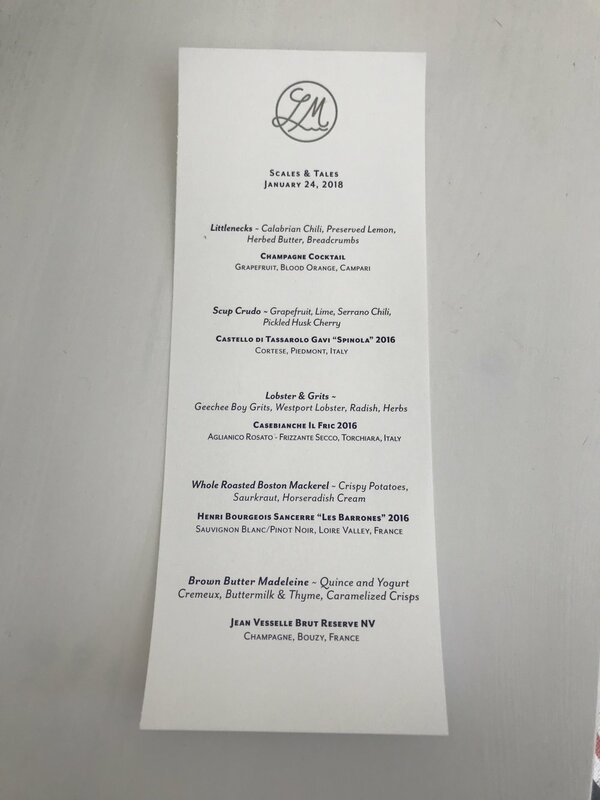 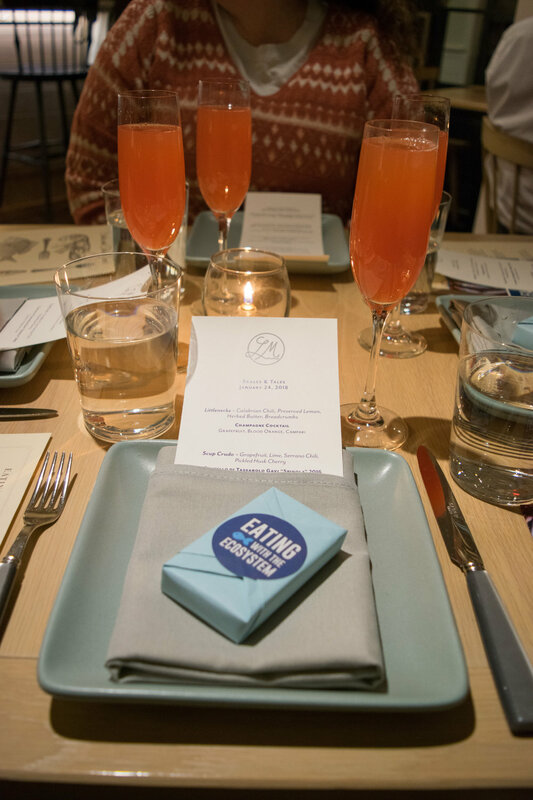 Before we were an official non-profit, we were a dinner series. 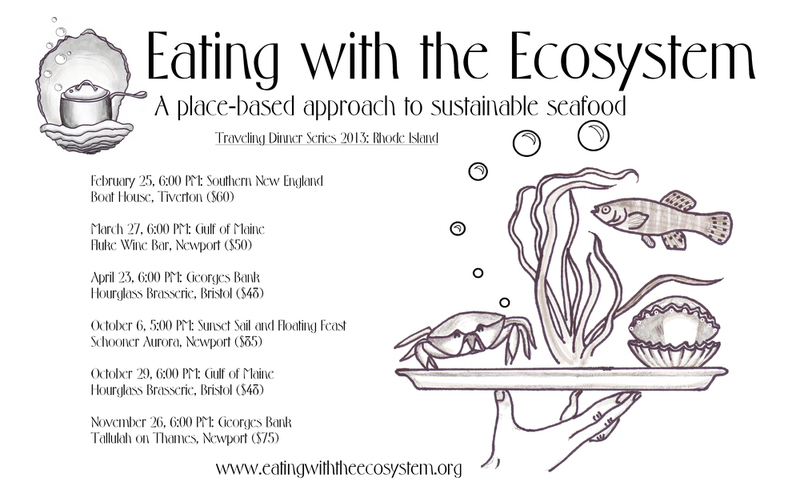 From 2012-2013, Eating with the Ecosystem’s traveling dinner series partnered with restaurants in Rhode Island and the Boston area to celebrate and steward the region's unique marine ecosystems, one at a time: Southern New England waters, Georges Bank, and the Gulf of Maine. 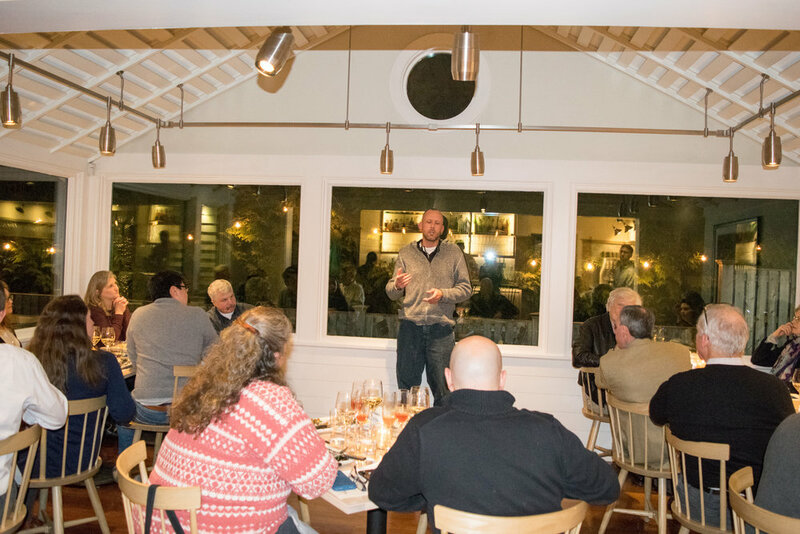 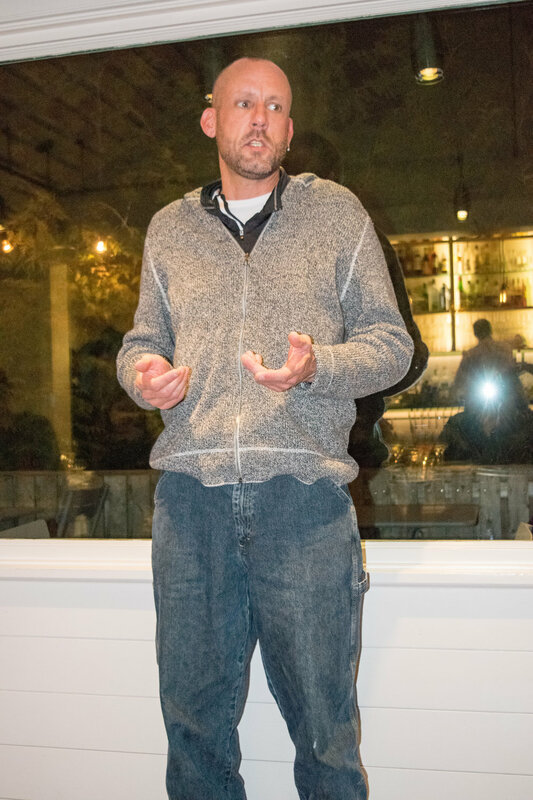 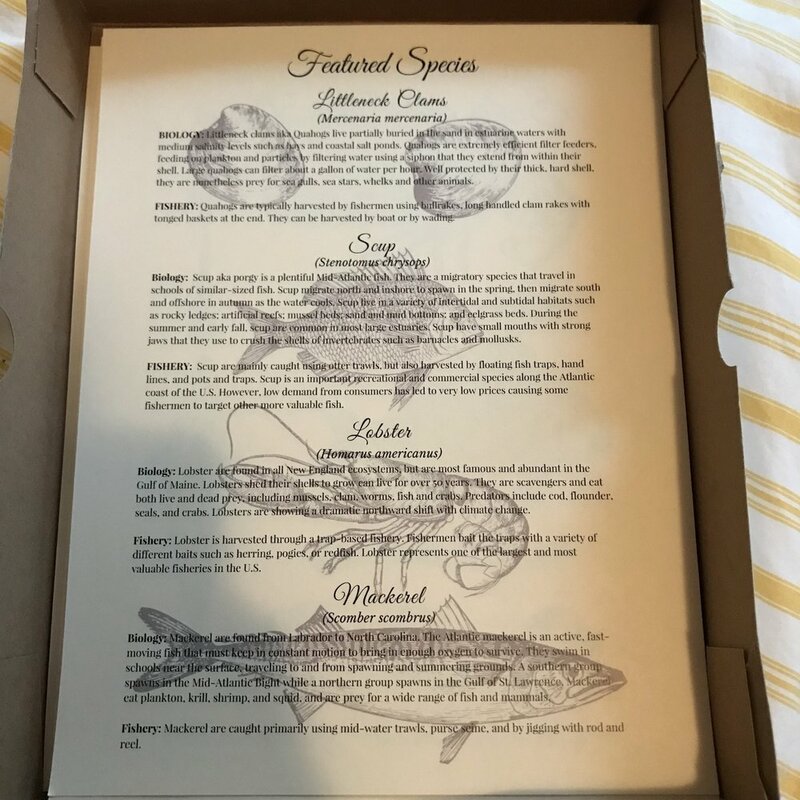 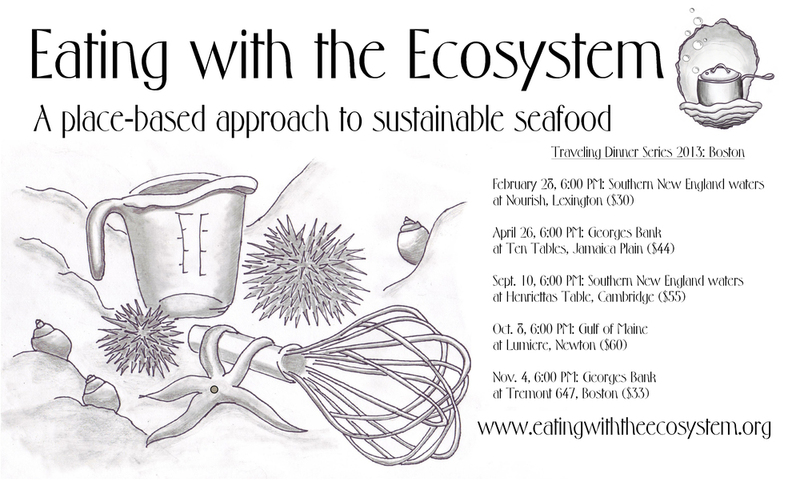 At each dinner, two guest speakers -- a commercial fisherman and marine ecologist -- helped us learn about how the special habitats and food webs in these ecosystems conspire to produce our world-famous seafood -- and what we must do to take care of these food-producing ecosystems for the future.